My sister gave me a beautiful Turkish carpet. It was as big as my living room. It was high quality, made my paltry furniture look better, and was a pleasure to the eye. I came to hate it. White dog fur showed on it, black cat hair showed on it. Every wisp of dust or dried plant matter from outside showed on it. I finally rolled it up and stowed it until I could pass it along to a friend who had a suitably big house and no pets. I had moved into a house with hardwood floors, and hadn’t needed a vacuum cleaner. This one generous gift, though, meant purchasing one. I tried to get by with an old touch-up type stick vacuum, but it did nothing for the pet hair. I finally gave in and purchased a reliable, high-powered upright vacuum cleaner… $200, plus bags. My idea of the right way to clean the floors was to run a dust mop down them, whisk a broom into the corners and sweep up the gritty stuff, then go over them with a wet mop. Nothing fancy. It was one of the things I loved about a house with all hardwood floors. In less than 15 minutes a day, I had a perfectly clean floor. The tools hung in the cellar-way, had been inexpensive, and would last for decades with good care. The vacuum required an entire closet to itself. And bags. And regular unclogging. Its roller brushes in the cleaning head were offended by my waist length hair. I started sweeping the bathroom separately to get up the lost hair. It willfully clumped the pet hair inside its filter, necessitating frequent disassembly. I considered giving it hairball remedy. A few months of this, and I found that my quick 15-minute floor routine was extending to more than twice that time, and costing me money as well. I got rid of the rug, and the vacuum cleaner went in a nook in the basement. I sold it when I moved. One more move, though, put me in a rambling old farmhouse, where I was caregiver to a ninety-year-old woman who was terribly proud that her late husband had the house carpeted. She apologized for the linoleum floors in the bedrooms upstairs. The only other room that did not have carpet was the kitchen. Even the tiny bathroom had that horrible spongy crepe-like carpet, a nightmare of mold and stains. She was also proud of her vacuum cleaner, which had been purchased from a door-to-door salesman “just a few years ago.” Since her late husband had purchased it, and he had been dead ten years, and the label giving the company address had no postal code, with a six-digit telephone number, I was certain that “just a few years ago” had been at least three decades. It was incredibly inefficient. I went over every carpet at least three times, three times a week, and when I moved the furniture, it was obvious that its inefficiency was a long standing problem, as dust and cat hair filmed the carpets under the couch and chairs to about a half-inch deep. It was a grim beige colored machine, with internal baffles and filters. When we ran out of clean filters, I had to resort to combing the gray residue off by hand. Local telephone information supplied no new number for the company. But my employer insisted that the vacuum was like new, and I was to keep struggling with it. It reminded me of a steel vacuum my parents had owned when I was young, branded “Shetland.” It was much like the Shetland pony I rode in those days, rarely cooperative, generally unsteerable, prone to roll and bite, and always anxious to get back into the barn. Then the unthinkable happened. I caught the wheels of the prized machine on the edge of the door sill of the dining room, and the miracle vacuum tumbled over the sill, down two steps and onto the living room floor. The ancient plastic body shattered into shards. I have never been so satisfied with an accident in my life. The reason for the lack of suction in the vacuum then became apparent. The air-tight chamber, its mysteries exposed, had been previously broken, and had been glued or epoxied together, probably leaving a number of pinhole gaps. Considering that of the several sets of china and glassware in the house, not one had a full complement of members, and that numerous objects had been repaired with epoxy, I could surmise that my delicate, fairy-like charge was very clumsy. A few more broken dishes and tea cups during my stay confirmed this. Her son brought a new replacement vacuum, which serviceably cleaned the carpets for the remaining months I was in employment there. I have lived off-grid before and since then, where there was no question of needing a vacuum. The off-grid cabins in which I lived had wood floors. They were one or two rooms, and a brief swipe with the broom and a quick mop down were all it took to keep them clean. Why have we been sold on the idea that carpets are necessary, and even that electric dirt-sucking monstrosities are required for a bare-floor house to be really, truly, clean? 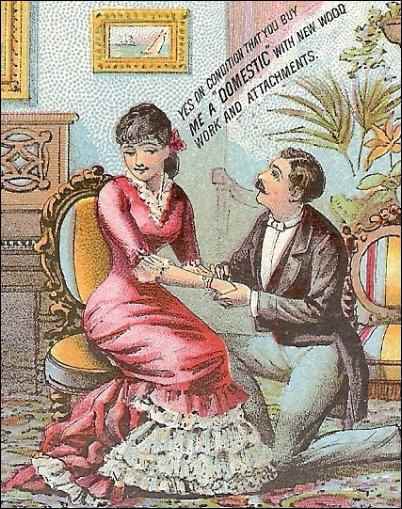 I would say we blame the Victorians. The expansion of carpet mills in the Industrial Revolution, the upward mobility of the working class, and increased literacy with a market for what we now call lifestyle magazines made ordinary people aware that carpeting was desirable. It was a sign of affluence and good taste. “Rugs” that could be rolled up and hung out to be beaten clean were insignificant. Room sized carpets became popular. 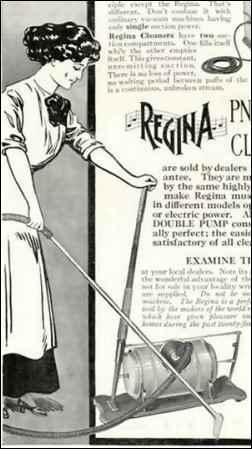 The first patent issued for a vacuum cleaner was in 1860, to David Hess of West Union, Iowa. 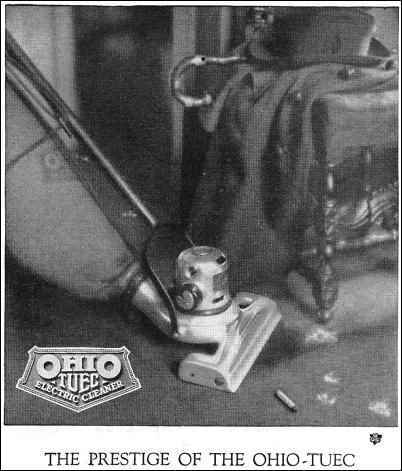 Some of these early hand-pumped vacuum cleaners or sweepers doubled as furniture suitable for the parlor or dining room. Others were utilitarian and portable. None was easy to use or very practical. They seemed to have been intended to be used by servants rather than the home owner. 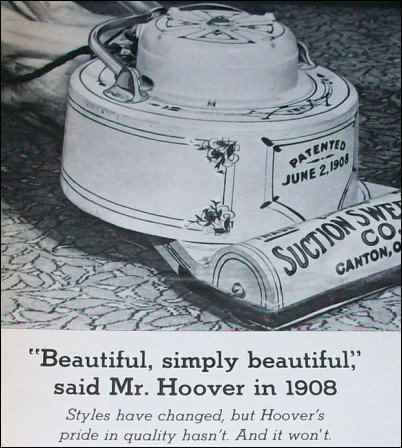 As electrification advanced across the United States and Great Britain, vacuum cleaners became the new status appliance. Gas range? Got it. Motor-powered wringer washer? Done. What shall we get Mother next year? A Hoover machine! Perfect! No more nasty corn brooms and rag mops. It seemed so modern and sanitary. Nasty dust and dirt sucked up, then thrown away. No clouds of dust rising from the carpet as it was beaten! Of course, our great-grandmothers couldn’t know that the dust mites that live on the detritus of our lives continue to breed in the vacuum cleaner. Unless the chamber is emptied immediately after use, and the dust disposed of away from the house, the dust mites continue to thrive. Even a thoroughly vacuumed carpet still has tens of thousands of dust mites in it. Dust mites, or rather the molds that live on their microscopic droppings, are a major source of indoor allergens. The carpet-less house is always cleaner. We can’t escape dust mites—they live in bedding, curtains, even clothes—but we can eliminate their widest range of territory. At the same time we can be free of the tyranny of the vacuum cleaner, which becomes increasingly expensive to purchase, takes up a lot of space, consumes electricity, is mostly plastic, and has to be either emptied frequently or have its bags replaced, an added expense and source of consumption. Several friends bought new vacuum cleaners from a neighborhood salesman a few years ago. They made monthly payments on them. I was puzzled as to why these units were so expensive. As one friend proudly showed me the appliance she had purchased, a yellow gem of plastic chambers and hoses, I asked what made it different from the ordinary. “It uses water!” she exclaimed. “Then why does it have a power cord?” I wanted to know. My leap of intuition was entirely wrong. The machine required distilled water as a filter. I rather shuddered at the thought of spilling the blackish fluid that resulted onto a just-cleaned carpet. A good corn broom is the workhorse of floor cleaning. The wide square broom was invented by the Shakers, who also invented the machinery to make it. Shakers were all about efficiency and low maintenance. They never had a rug or carpet in their buildings. Furniture was light and portable, and they had hanging pegs on all the walls, so that chairs and stools could be put out of the way, the floor briskly swept, and the room used with a minimum of fuss. While round brooms are quaint, they aren’t as efficient as the square broom. Good square brooms are available from Amish craftsmen, Shaker villages, online sales, and at Amana Colonies. A good quality broom may seem pricey compared to one from the hardware store, but that good square broom will last decades if it doesn’t get wet, and is used just on hardwood, vinyl or smooth tile floors. For concrete or asphalt patios and drives, a janitor’s wide bristle broom is a better choice. A corn broom shouldn’t be used to clear snow, either. The gathered dust, crumbs, and hair can then be swept up with a whisk broom, which is also useful for along baseboards, in corners, and under cabinets. A rubber or plastic dustpan will hold onto charged dust and hair; a metal one is more practical. Again, with proper use, both should last a long time. Don’t use the dustpan for chipping ice off the steps and it will last for a generation or two. Hang brooms after use and the bristles won’t get damaged as readily. A dry, dark closet or cellar-way is the best place. Mops are another matter. A soft synthetic or cotton mop will pick up dust under couches and tables. The dry or dust mop isn’t interchangeable with a wet mop. They need to be kept for their respective roles. Wet mops tend to incorporate bits of sand and gravel into their tentacles, not the best thing to drag across a wood floor. The old-fashioned rag mop, of the sort sailors call swabs, works for both wet and dry, and the head should be detachable for washing. The wet mop requires a wringer bucket. It is worth getting a good, professional quality one, making sure it is thoroughly dried after use, never left overnight or all day with water, and its wringer parts occasionally lubricated. Rubber wheels will save the floors from wear and tear, too. Again, these should be hung up when they are not being used. The wet mop could use a little sunlight once a week, after a quick wash with a bit of bleach or hydrogen peroxide. I find they tend to sour and molder quickly if they are not thoroughly air dried. Expect to replace the wet mop head at least once a year. Sponge mop heads harbor molds and bacteria, so I avoid them. Tile and vinyl floors need a good hand-wash occasionally. I get a soft bristle brush, a bucket of warm sudsy water, and work backwards toward the door. This isn’t necessary for everyone, but I like to give grout and textured floor surfaces a good going-over when they start to look shadowy. Once you get into the rhythm of it, cleaning the floor takes just minutes. Grabbing the broom off its hook and quickly working down the floor actually takes less time than hauling the vacuum out of the closet, maneuvering it around the furniture, emptying its bag, and stowing it again. I am now angling for a trip to the Amana Colony for a new broom!